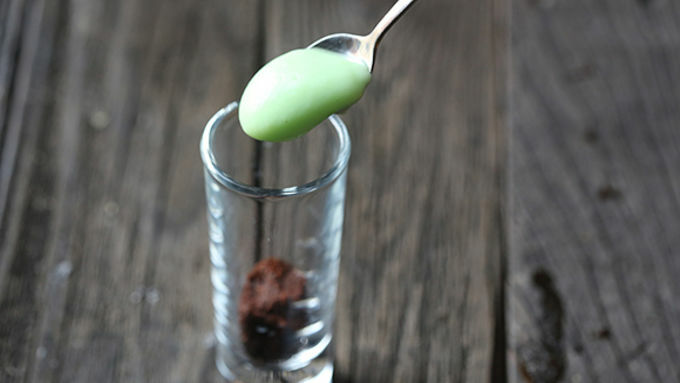 Whisk together the vanilla pudding and peppermint extract until combined, adding more or less extract to taste. 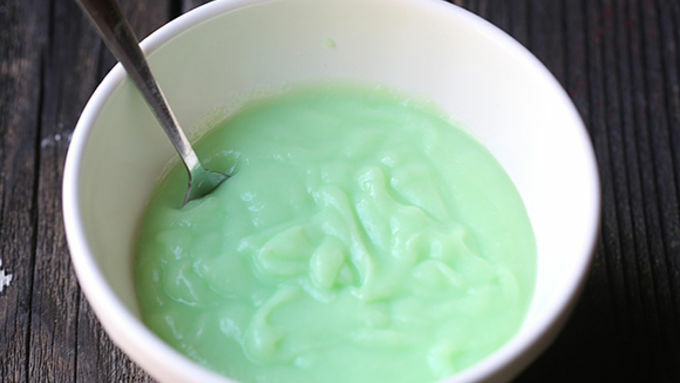 Whisk in green food coloring until your desired shade is achieved. 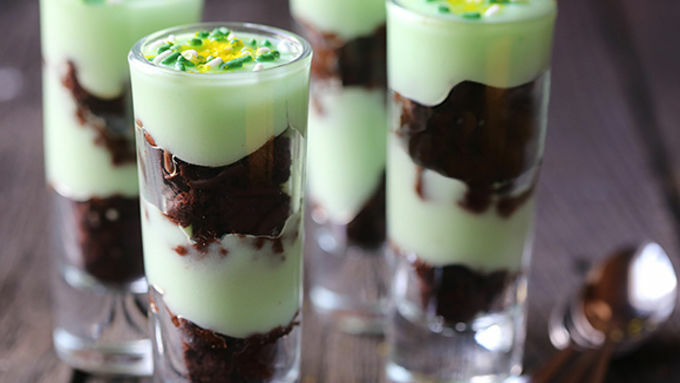 In small shot glasses, layer about 1 teaspoon of the crumbled brownies, then 1 teaspoon pudding. Repeat. Top with sprinkles. Serve immediately, or refrigerate in a covered container for up to 3 hours. What are your plans for this St. Patty’s Day? Wearing your green? Enjoying some good corned beef and cabbage? And maybe a pint? 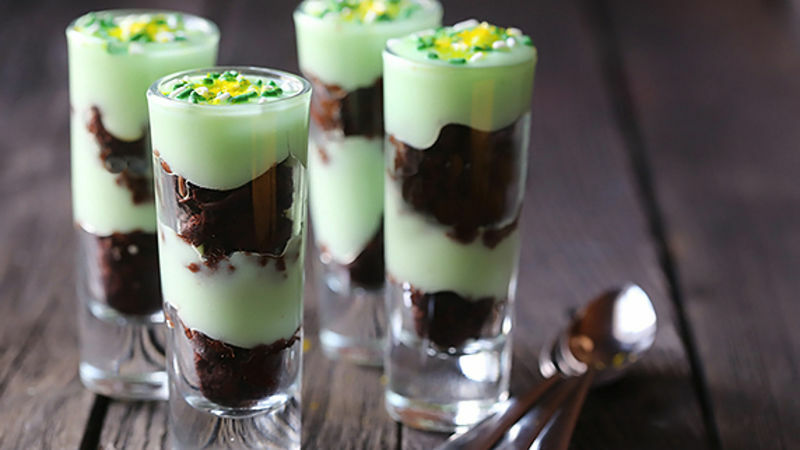 Well, if you’re still looking for something extra lucky and delicious for dessert, I’m pretty sure you should try these Shamrock Cake Shooters. They are packed with all sorts of mint-chocolaty goodness, and since you use Fiber One brownies, they’re super quick and easy to make. Everyone will love these cute little treasures with the touch of gold (sprinkles!) on top! Instead of making a pan of brownies, try this delicious alternative – Fiber One Chocolate Fudge Brownie Bars. Delish! (And easy!) Then once it’s ready to go, spoon a small layer of pudding into each glass on top of the brownies. Repeat with a layer of brownies, and then another layer of pudding. Then top with some gold and green sprinkles for a little extra cute touch. Serve immediately, or refrigerate for up to 3 hours. Enjoy!